Summary: The movie “Dunkirk” showed how easy it is for small old-fashioned propeller aircraft with a single small bomb to sink substantial Navy ships. Yet we hear that our brave Defence Secretary, tasked with saving £20 billion from the MoD budget is going to build another five frigates. For many years the MoD has been working hard to equip itself to fight the last war. This new program simply adds to the problems that our defences are trying to cope with. Did you see the movie “Dunkirk”? Men who were there say it was very realistic. Did you notice that Stuka dive bombers were able to drop single bombs on fairly large Navy ships and sink them quickly and efficiently? This was all nearly 80 years ago. The Stuka was a propeller aircraft with a dive speed of only 350 miles an hour. The bomb it dropped was a maximum of 250 kg, tiny by modern standards. That was all that was needed to sink a fairly substantial ship. 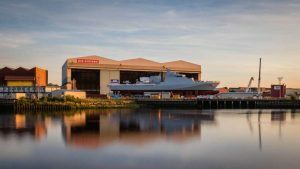 Today, Defence Secretary Michael Fallon announced that the Ministry of defence was to build a batch of five Type 31e frigates. The cost will be capped at about £250 million each. No doubt our Defence Secretary will insist that they are well protected against dive bombers but any naval expert will tell you that it is virtually impossible to do that reliably. Surface capital ships are easy targets in the 21st-century with hypersonic missiles and fast torpedoes used widely. The claim that the costs will be capped is fairly implausible. Once the contract is placed it is traditional for the MoD to ask that significant changes are made, all of which will increase the cost. The MoD is currently trying to save around £20 billion so exactly how this relatively open-ended commitment of at least £1.25 billion will help that is far from clear. A wide range of weapons procurement programs for the MoD have already gone disastrously wrong. We have no submarines at sea because of problems. The Type 45 destroyers have serious engine problems that makes them unusable in warm seas such as the Mediterranean or the Gulf. Many other programs including the spanking new aircraft carriers is already greatly flawed and largely inappropriate for the 21st-century. You can read more about this here: http://outsidethebubble.net/2017/03/16/britain-defenceless-in-the-21st-century/. What we really should be doing now to make us safe in the future has been discussed here: http://outsidethebubble.net/2017/04/10/defence-in-the-21st-century/. Yet again the British military are arming frantically to fight the last war. They are devoting vast sums of money to weapon systems that are seriously inappropriate for the 21st-century. When will they wake up and realise just how ineffective and wasteful these programs really are?